The character trait of flexibility means a willingness to change or compromise as a situation requires. 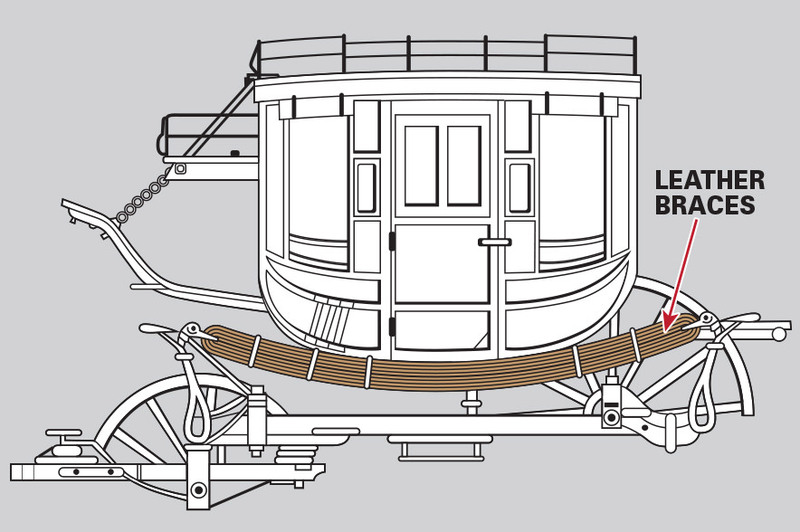 Throughout the 1800s, one of the primary modes of public transportation was stagecoach. In our hectic day and age, it seems like that would be a romantic way to travel. Sure it was slow-paced so a passenger could enjoy the beautiful scenery along the way, but it was also far from being glamorous. If the fear of bandits or Indian attacks wasn’t enough to keep one on edge, the bumpy roads full of potholes and rocks sure made for a lack of rest or relaxation. Thanks to ingenuity and leather though, the quality of the ride was greatly improved. Thick leather strips called braces were strung across the chassis, and the body of the coach rode on top of these braces. It formed somewhat of a cradle for the body to swing back and forth, helping to eliminate the harsh motion influenced by the deep ruts and large rocks. Leather was the perfect material to use for braces because it was strong enough to support the weight and abuse it was subjected to, but flexible enough to absorb shock and compromise as the situation required. Other materials didn’t work because they lacked either flexibility or strength. Wood, for example, would have been strong enough but it didn’t offer the flexibility needed to cushion the bumps and provide a smooth ride.